New York: Oxford University Press, 1966. First Edition. Hardcover. Fine/near fine. 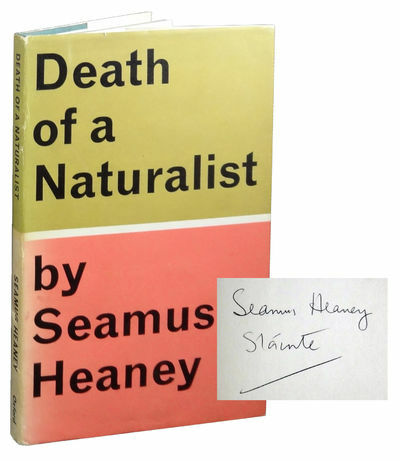 Inscribed by Heaney on the front endpaper: "Seamus Heaney/Sláinte." No additional printings listed. Near fine in a near fine jacket, unclipped ($3.75), faded on the spine, rubbed on the back panel. Green cloth with gilt lettering on the spine. Firmly bound with a slight backward lean. Heaney's first collection of poetry, one that displays his "acute observations of the countryside and its people."